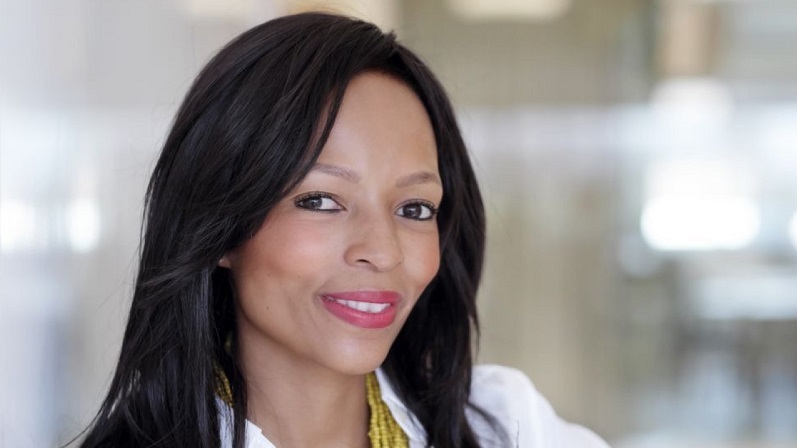 SA tech startups and those in the country’s startup scene say the once dreaded exchange control is less of an obstacle than in previous years, startup advocacy body Simodisa revealed in a policy report released today. Yet while 27% of the 247 startups and those support startups who were surveyed in Simodisa’s latest industry report released today (31 January) say things have improved — a more significant 42% say things have remained unchanged. A further five percent said things had deteriorated, while 22% said they did not know whether there had been any change. A further four percent are listed as “other” (it’s unclear what this means). The 247 respondents (the figure was confirmed by Simodisa vice-chairperson Matsi Modise — pictured above — in a call today to Ventureburn) include startups, investors, those employed at universities, policymakers in NGOs and government, those who work for business support entities and business advisers. In 2014 Simodisa proposed that the Reserve Bank allow those wishing to transfer IP overseas to put in place a permissible loop structure. This would enable residents to domicile companies offshore in the form of a holding company within an international market and a wholly owned SA subsidiary, to attract international investors and access the global market. Simodisa said it recognised that improvements had been made in terms of the Reserve Bank allowing for more flexibility around IP rules. But the organisation noted that the negative perception alone around Exchange Control may have motivated some startups to consider offshoring their IP from the start, rather than basing their companies in SA and then trying to move IP overseas. “Costs and overhead to startups remain barriers to growth and investment, despite reported improvements and an increase in ExCon (exchange control) approvals,” it said in the report. In March last year several intellectual property (IP) attorneys told Ventureburn that changes instituted in 2017 by the Reserve Bank had helped speed up IP exchange control approvals. In 2017 in his Budget speech, then minister of finance Pravin Gordhan announced changes that would allow some exchange control approvals to be obtained from authorised dealers rather than from the Reserve Bank directly. Not all agree that the changes have had any effect. Venture capitalist and 4Di Capital founder Justin Stanford said at the time that nothing had changed as the Reserve Bank continues to create blockages, such as preventing local investors from investing overseas because of what he called “arbitrary conditions” (see this story). In today’s report exchange control was listed by respondents as the third biggest concern for startups, after labour laws followed by the country’s research and development (R&D) tax incentive administered by the Department of Science and Technology failing to assist startups. In response to the question “Has the SA labour market for SMEs improved?”, 67% of respondents said they did not agree. A further 24% said they had no opinion, while just seven percent agreed that it had. A further two percent were listed as “other”. Most respondents cited the country’s BEE codes as placing more challenges on small businesses than before, including on things like workforce composition for small companies unless they are 51% or more black-owned. When it came to the country’s R&D tax incentive, those surveyed said the incentive remains unattractive to startups that have yet to make a profit. In addition, Simodisa noted that there have been no notable improvements made to the country’s business visa, which could help attract and retain entrepreneurial talent to and in South Africa. Simodisa also noted that while amendments to the Section 12J venture capital (VC) tax incentive have led to a significant uptake of the incentive by investors in the last three tax years, there are concerns over what the economic impact of the incentive has been and to the possible abuse of the incentive by approved VC companies of the incentive (see this story). In addition, Simodisa said it continues to be concerned about the uptake of government-funded IP by startups. Government-funded IP commercialisation is regulated by the Intellectual Property from Publicly Funded Research & Development Act of 2008 (IPR Act). The organisation said insufficient clarity and poor industry perception related to the act have meant few startups seek to obtain or license publicly-funded IP from public institutions or turn to such institutions to help them to fund the development of IP. Simodisa said it had made a number of recommendations in 2014 to address the above, including increasing public funding for IP development and commercialisation, improving clarity around the IPR Act, and strengthening the technology transfer offices at publicly funded research institutions that are responsible for increasing awareness of, and implementing the IPR Act. However it noted that are very few cases of startups taking up, or private risk capital flowing to IP created with public funds. “Indications are that the status quo in 2014 remains true in 2018,” it added (but some startups have been able to get around this — see this story). Commenting in the report on the country’s poor venture capital (VC) environment, Simodisa said while the SA SME Fund has since become operational (see this and this story), the co-funding for SA VC-type investors through a public VC fund-of-funds has not materialised as yet. Simodisa noted that original intentions of matching government and private sector funds appear not to have taken place. However the organisation pointed out in the report that the Industrial Development Corporation (IDC) and the Public Investment Corporation (PIC) and others are revisiting direct funding of VC-type funds. However on the positive side, Simodisa noted that those surveyed felt that universities have become catalysts of startup activity of recent. “This is not related to spin-outs or technology transfer, but rather the production of skilled resources and graduates that are interested in pursuing careers in startups,” it said. 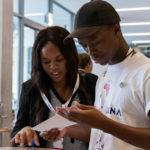 Simodisa noted too that the startup support network including mentors, networks and events has also improved in recent years. “This is echoed in international recognition for local ecosystems and startup support interventions. Such growth is however placing additional demands on the availability of skilled and experienced employees. Simodisa added that access to venture capital, grants and angel funders is contributing to a “positive sentiment” related to funding available to startups. It said a positive culture of entrepreneurship and self-employment is evident, based on the increase in the number of people employed fulltime in various aspects of the startup sector. “This points towards startups shifting away from making a living on the fringes of the economy, increasingly becoming central to the development of the new economy,” it said. Modise told Ventureburn today by phone that there were a number of debates held during the launch in Johannesburg today. These included things such as whether support incentives were supply or demand driven (are we giving for example those in the township what they need to become entrepreneurs) as well as the relevancy of some business advisers (many appear to only serve fellow advisers and “ecosystem players” rather than startups themselves, said Modise).